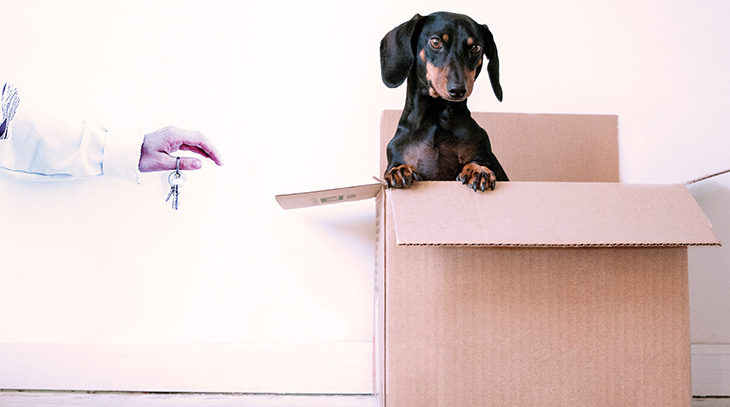 Are you in the same house or apartment you moved into years ago as a young pup? You may have thought "I'm going to live here until they carry me out in a pine box" when you first moved in, but that's not likely to happen. You (and your spouse/partner if you have one) are not going to be in the same health in your 60's, 70's, 80's, or 90's, that you were in your 20's, 30's, and 40's. It's not likely going to be a change for the better health-wise. Getting older means your needs, interests, abilities, and lifestyle will change, and you'll most likely be moving into a smaller space than you are living in today. Not better, not worse, just different. Life has a way of happening when we have other plans (or something to that effect). If you're in your 50+ years, don't wait until you have to move, to start thinking about when and where you might want to move when the time is right. Look ahead at the next 5 years and consider what's the likely scenario for the next 1, 2, 3, 4 & 5 years, given your current age, health, retirement status, and family situation. Be flexible if you're planning, because the "stuff happens when you least expect it" law is sure to come into effect. You know, when you buy an expensive luxury item that drains the bank account and then the furnace breaks down and has to be replaced. Like that. I've helped 3 elderly parents downsize and move in the past 5 years, and by far the hardest part of their moves was having give up their treasures - usually nothing of any intrinsic value, but enormous sentimental value to them for the memories they called to mind. Start downsizing well in advance of listing your home or your planned move date - If you believe a move is likely to happen within the next 1-2 years, downsizing is something you can and should start now - not something you should leave until a few months or weeks before your move. This is especially important if you have to sell your home - you'll need to de-clutter in order for it to sell quickly anyway. Consider the services of a downsizing professional - Depending on your health and situation, and especially if you have to move in a hurry, a downsizing specialist or de-clutterer can save you time and energy. Someone who has no personal memories associated with an item themselves, can help you put things in perspective when you have to decide what to keep or get rid of. They'll also dispose of items for you. The time savings and reduced stress (physical and mental) are important benefits that are hard to calculate. Pick a room to start with - Make a check-list of all the rooms & storage areas you have. What's the the smallest or least-used room, closet, or storage space in your current home? Typically it's a garage, basement, spare bedroom, big walk-in closet, or even an outdoor shed. Start your downsizing efforts in that room and once it's cleared, use it as a space for storage of packed boxes and / or items you want to display for sale. A garage is deal for this last purpose, if you plan on having a garage sale. Get a some packing boxes and/or find some empty storage bins - it's not too early, and the sight of an empty box ready to fill, may be all the motivation you need to go to the next big step - SORTING! Frequently used - must keep. These items should be kept in a room(s) where they will in fact, be frequently used until closer to your move. keep - the item for yourself, pack it in a box and label it immediately. give away - an item to a family member or friend, don't wait until your move to confirm they want it. Have a box or bin for each intended recipient/family with their name on it, and put items into the box as you sort through a room. Once you've sorted an entire room, make a list of items you want to give to each person, and send them the list or invite them over to look through their bin. If they don't want the item, better to know now than have to re-home, sell, or dump that antique radio, lamp, or big framed painting at the last minute. Never or rarely used, and minimal sentimental value - assess the condition & age of the item. In good condition - decide if you want to hold a garage sale, sell items online, or give to a charitable institution - or any combination thereof. Have one labeled bin/list for each of the options you plan to follow through with. Damaged or stained - be ruthless...unless it's a very expensive item that could be cleaned or fixed easily, inexpensively, and quickly, how likely is it that anyone else would want it? Put it in a discard bin or box. If you have the luxury of picking one room a month or week to concentrate on clearing out, you'll be much less mentally, physically, and emotionally exhausted during the downsizing process and on your actual moving day. I've helped people move and had professional movers. Consider your time and health and that of your helpers, the number, size and weight of items to be moved, and where you're moving to, before deciding on a DIY move or going with professionals. Professional movers provide estimates and assess what size of truck is required on moving day, and may offer other services such as packing materials, moving lists, etc., not to mention moving large & heavy items for you. If you have to move into an apartment building, retirement home, or long term care home, there may be tight timelines to co-ordinate for moving in. Make sure you / your movers, are able to complete your move safely, and within the allotted timespan. Create a scaled floor plan with room measurements and placement of doorways and windows, for your new home. Measure the furniture you're thinking of bringing and consider where to place it so you know whether to bring it, or sell it and buy a smaller one. Pick one room at a time for packing to make it a more manageable chore, starting with the items/rooms that are used the least. Use space-saving technology where possible. I've had bookcases (and bookcases, and bookcases) of books and photo albums, that made up by far the biggest volume of items when it came time for us to move in the past. Digitize photos - have someone digitize your photos for you, or do it yourself, so you can keep those memories without have to pack, move, and find storage space for photo albums. You can arrange to have them play on your television or computer screen. E-readers & tablets vs books - if you haven't already switched from books to a light-weight tablet or e-book reader, now's the time. A tablet can hold hundreds of books, enlarge text, allow for night reading, and you can even check out e-books for free from your library. Flat-screen televisions - take up less space and are easier to move around than those huge, heavy older tube televisions and rear-screen projection TV's (if you go to a dump you'll see literally tons of them, along with old refrigerators and other out-dated appliances). Note: This article was first published in 2014 under the title 6 Moving & Downsizing Tips for Seniors. It has been updated with new & additional content.